NIMRA will be helping to recognise the great work they do by running a race in aid of the team. The race takes place on February 17th at 11 am. All proceeds will go the Mourne Mountain Rescue. Registration on is on the day. Starting in Donard Park runners will follow the Donard Trail out to the climb up the granite steps on the old Bogie Line to the top of Donard Park. From this point, follow the short mountain path over to the view point at Thomas’s quarry. 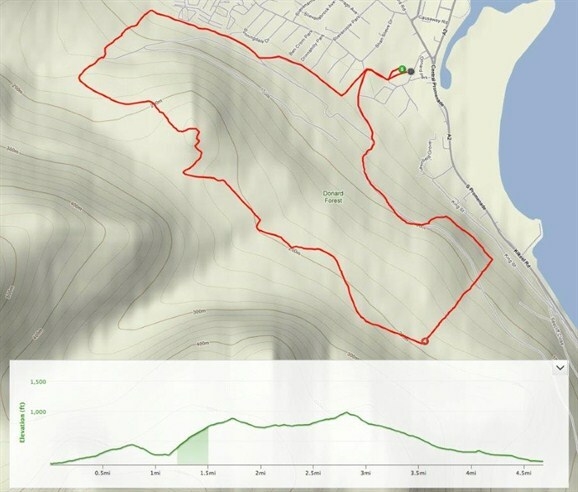 The route now follows the trail along the top of the park over to the race’s high point at the top of Drinnahilly. It’s all downhill from here to Donard Park. The following video shows the first half of the race up to the view point. Sorry about the music – blame youtube. This race is on hard parked forest trails, granite steps and grassy trails.